Innovative platform design accepts Overlander-15 packs or multiple 1 Gallon Rotopax fuel/water containers. Available as a single component (as used on Overlander-60 Panniers). 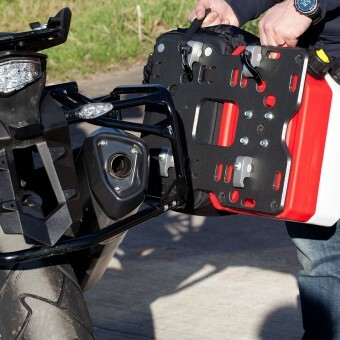 The ADV Platform is a product to use alongside your existing alloy pannier set-up. Virtually indestructable CNC machined LDPE (9mm) platform accepts Overlander 15L luggage packs or 1 Gallon Rotopax fuel/water containers. (max 4 Gallons/ 15L per side). 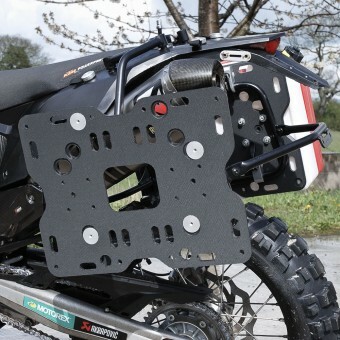 Designed for ultra-secure off road performance, Kriega custom 6061-T6 Clamps fit to the platform in various positions to clear exhaust & bodywork. 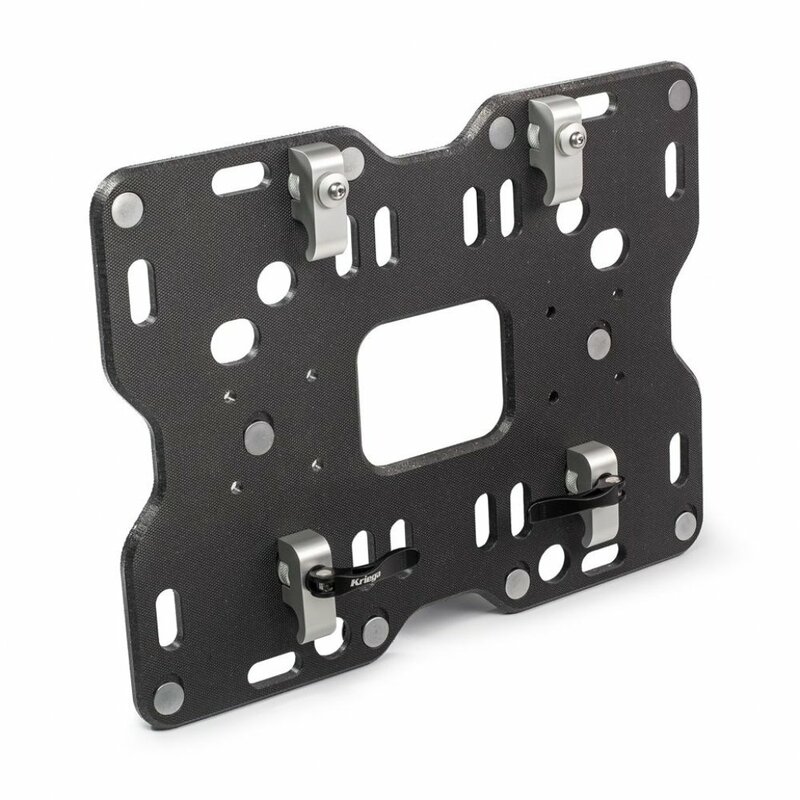 Easy on/off with 4 x cam levers. 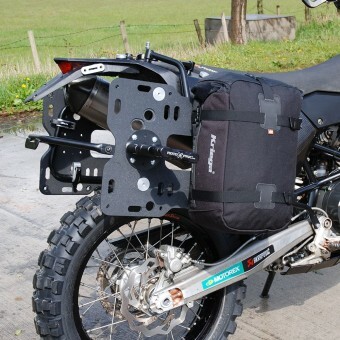 Fits 18mm pannier frames (Touratech, KTM PowerParts, Metal Mule). 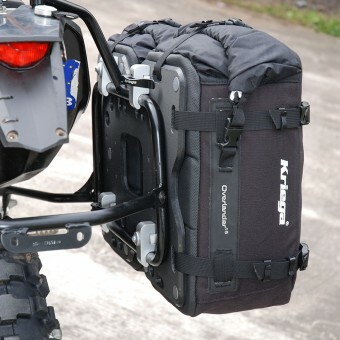 Kriega's ADV Platforms are designed to accept multiple 1 Gallon (3.8L) Rotopax fuel or water containers. Choose between 2 gallons + 15L luggage pack or 4 gallons of fuel per side. 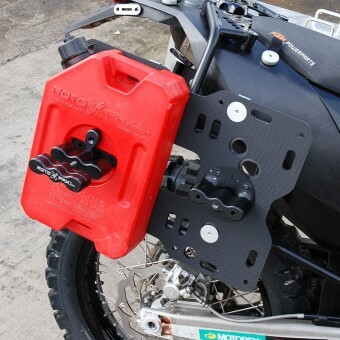 Rotopax are the highest quality fuel packs on the market and are guaranteed to be leak free. Rotopax feature extra threads, thick walls and a sure-seal gasket that prevents the spout from vibrating loose. 13.4(h) x 17.3(w) x 0.4(d) ins. Ecommerce Development by South Coast Web Design Ltd.